Israeli credit card startup CreditStacks Inc. announced on Thursday a $4 million funding round led by Israeli venture capital firm Clear Future, early-stage venture fund 500 Startups, and Off the Grid Ventures. Private investors also participated, including Israeli entrepreneur Saar Wilf, founder of Fraud Sciences Ltd., which was acquired by PayPal in 2008 for approximately $169 million. The company also announced on Thursday the launch of the CreditStacks card, issued by First Century Bank, N.A., in collaboration with Mastercard. 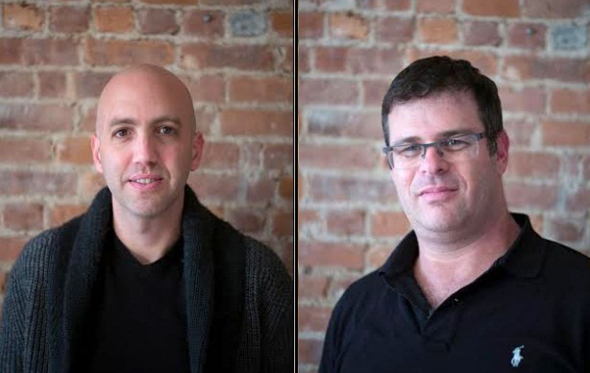 Founded in 2015 by Israeli-born entrepreneurs Elnor Rozenrot, Jonathan Jacobi, and Shahar Nechmad, together with American banker Robert Hartheimer, CreditStacks offers U.S.-based credit cards to customers without a credit history. The Credit cards are offered to international workers who relocate to the U.S. with a job, but with no credit or employment history in the country. The company has offices in Tel Aviv and San Francisco. In the U.S., banks often require documentation of local employment history or credit history and a social security number before issuing credit cards. "I remember the first time I went to the bank in the U.S. I had just successfully sold a company I founded and moved to the U.S.,” Elnor Rozenrot, CEO of CreditStacks, said in a statement. "I was talking to the leading thinkers in the industry, and I found myself standing in front of a clerk at the bank who was explaining that since I don't have any credit history all I could get was a debit card,” Mr. Rozenrot said. “Instead of seeing it as a problem, I saw it as a challenge,"We couldn't find a credit company that would treat us right, so we started our own," he said.